Get a sense of Oklahoma's natural allure by driving along its scenic routes and byways. A land of awe-inspiring landscapes, Oklahoma (OK) is a great road trip destination featuring 11 ecoregions and the nation's most diverse terrain. With Rocky Mountain foothills, cypress swamps, prairie grasslands, pine woods, majestic mountain ranges, lakes, streams and rivers, Oklahoma is a paradise for outdoor adventurers. The state's rich American Indian heritage also offers visitors major tourist attractions such as the restored Cherokee village and the American Indian Cultural Center in Oklahoma City. Other travel attractions include Wichita Mountains Wildlife Refuge, National Cowboy & Western Heritage Museum and others. The best-known scenic drives in Oklahoma are the Talimena National Scenic Byway and the historic Route 66. 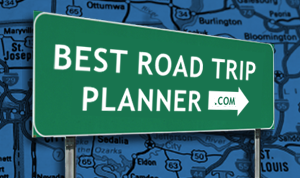 Prepare for endless adventures on your road trip to Oklahoma!